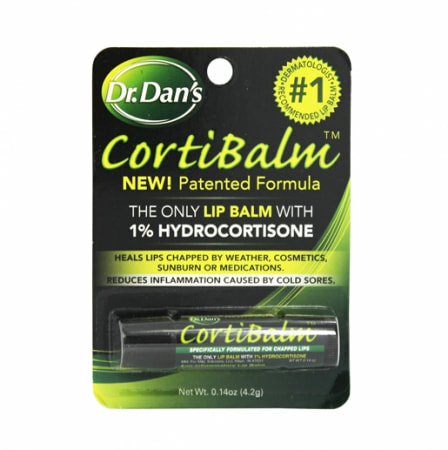 Dr. Dan’s CortiBalm was developed and proven by a leading dermatologist. 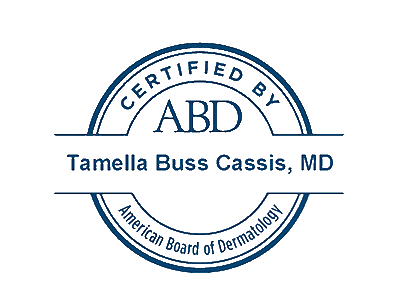 It’s effective on lips severely chapped due to medications such as Accutane™, Amnesteen or Soriatane; or weather, cosmetics or sunburn. It is an over-the-counter, medicated lip balm made with a blend of beeswax, petroleum jelly, mineral oil and 1% hydrocortisone in a non-irritating base. 0.14 oz stick. CortiBalm is not recommended for use on already healthy lips or for cold sores or fever blisters.